Calendar-year corporation tax deadline is March 15. Filing deadline for estates to report basis is extended to March 31. Tax Court honors IRA investment when custodian doesn't. IRS says to not complete optional questions on Form 5500. Social Security benefit is expiring. Visit our new article: Reclaim the Magic. 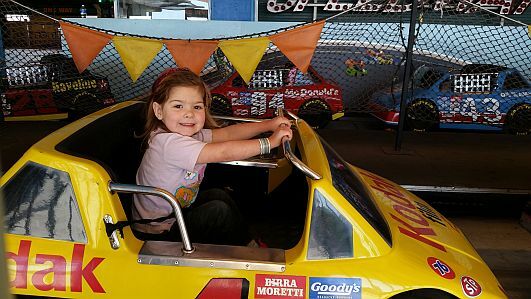 My granddaughter, Minnie Siemer, on a ride at the Santa Cruz Beach Boardwalk. It's time again for the "wearin' of the green!" Saint Patrick's Day, when all Americans are Irish, falls on Thursday, March 17 this year. Easter falls early this year, on Sunday March 27. The Church has no consideration of tax season! We wish you a safe and fun Easter and hope you can be with family or friends for the holiday. The due date for income tax returns of calendar-year corporations, including most S corporations, is March 15. Hopefully these businesses have already submitted information to their tax return preparers for preparing their income tax returns and extensions! Estates that are required to file an estate tax return are also required to make a report of the values of property reported to beneficiaries who receive the property with a copy to the IRS. The due date is generally the earlier of (1) 30 days after the estate tax return, Form 706, is filed, or (2) 30 days after the deadline, including extensions, for filing the estate tax return. The information is reported using Form 8971. The IRS previously extended the deadline to February 29, 2016, but has now further extended the deadline to March 31, 2016. The IRS only recently issued the final version of Form 8971, Information Regarding Beneficiaries Acquiring Property From a Decedent, with instructions. Raymond McGaugh told the custodian for his self-directed IRA to directly purchase corporate stock. The custodian refused. Mr. McGaugh directed the custodian to wire $50,000 directly to the corporation, which issued its stock with the title to the custodian for the IRA. The custodian refused to hold the stock and reported the payment of funds as a distribution to Mr. McGaugh. Mr. McGaugh didn't report the income, and the IRS billed him for tax plus early distribution penalties. The Tax Court ruled that Mr. McGaugh didn't have taxable income. He never received the funds and the stock was issued in the name of the IRA. He held the stock certificate as a conduit for the IRA. Mr. McGaugh should have found a different IRA custodian that was willing to purchase and hold the stock, and made a direct transfer of funds to that custodian before purchasing the shares. Then no distribution would have been reported by the custodian to the IRS. Some custodians won't accept permissable IRS investments. Mr. McGaugh had to go to considerable time and expense to defend not reporting this income. We are seeing a lot of misleading emails, including from phony prospective clients, this tax season. Be very careful about opening emails and attachments, opening up your computer to be hacked! Also beware of telephone calls and emails purporting to be from the IRS to collect income taxes. The IRS will always initiate collection by mail. Call the tax authorities or consult with a tax professional if you have a question about whether threatening calls are legitimate. Social Security benefit is expiring. Some married people should apply now. A Social Security benefit, called "file and suspend," will no longer be available after April 29, 2016. The lower earning spouse applies for his or her own benefit while the benefits relating to the higher earning spouse are suspended to accrue higher amounts. In order to make the "suspend" election, three requirements must be made. The individual must file for the benefit on or before April 29, 2016. The individual must suspend his or her benefit on or before April 29, 2016. Sharon Lacy, CFP® of United Capital Management has created a web tool to optimize Social Security benefits. It's www.bedrockcaptial.com/ssanalyze. The tool is free. You don't have to give your email address to use it. Note that waiting to receive your Social Security benefits past your Full Retirement Age until age 70 increases your benefit by 8% per additional year. If you visit a Social Security office, they will try to start your benefits, so in most cases you should "just say no!" I received this information at a seminar presentation by Sharon Lacy.